This gorgeous bag has different textures, and like all our hip bags, is one-of-a-kind. All bags from the Hip Bag Company are handmade, so no two are ever exactly alike. They're as individual as you. 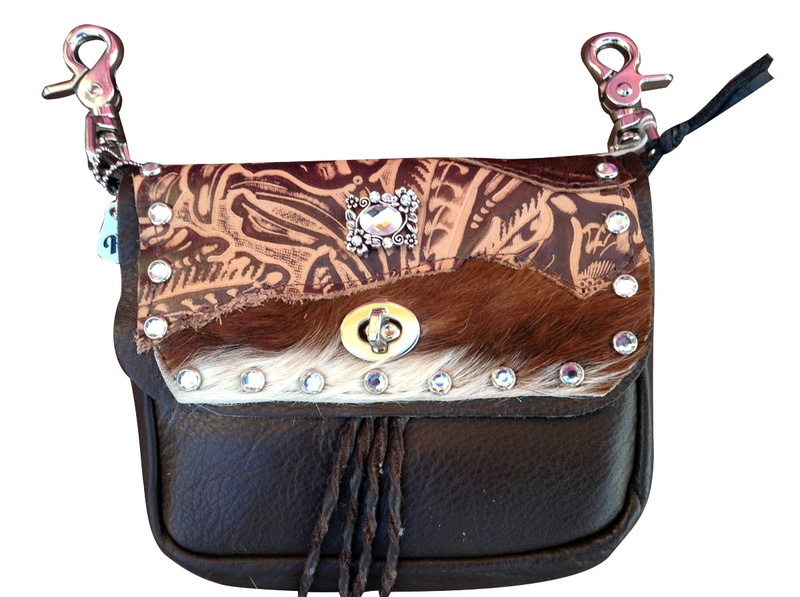 Created by a mother-daughter artist team, they RECYCLE scrap leather, VINTAGE jewelry and EXOTIC leather remnants from some of the finest manufacturers of leather products to produce stunning works of art that you wear on your hip! 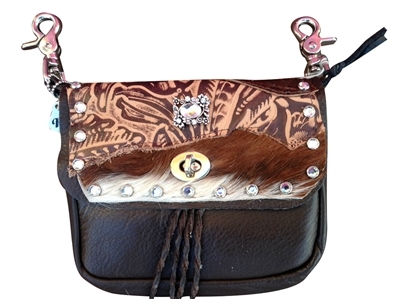 This chocolate brown cowhide bag brown and white hair-on-hide and a leafy printed leather. The sparkling centerpiece is the star, with a jeweled crystal surrounded by delicately carved silver flowers with rhinestones. Iridescent studs trim the flap and twisted chocolate brown laces conclude the design. This is the only one available, so snag it now.